JOHN CASTELLUCCIO/Staff photo. 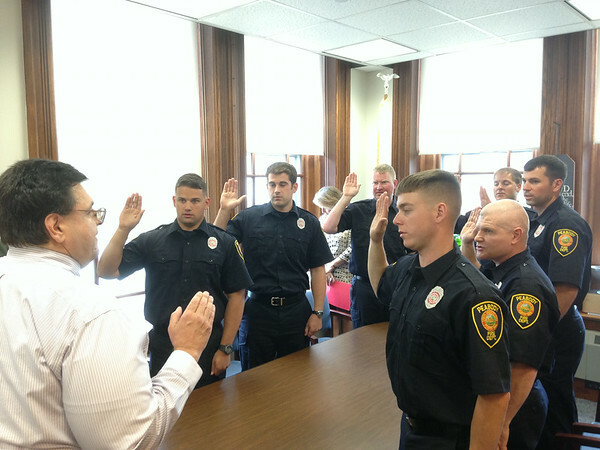 Seven new Peabody firefighters were sworn in June 2 by City Clerk Tim Spanos. Matthew McKinnon, Mark Eliuk, Luke Murdock, John Marotta, Daniel Barrasso, Justin Sauvageau and Sean Dolan are all Peabody residents. They were appointed from the city’s reserve list and began active duty on June 2.